Benjamin Graham was an influential investor and writer, regarded the father of value investing. His work was a huge influence on the world’s best known investor today, Warren Buffett. This historic definition does have some shortcomings. No investment apart from cash in the bank can really promise safety and a return in the short-term! However the important point is an investor is someone who buys reasonably expecting a predictable long-term return. A speculator is someone who buys to try and profit from a short-term change in price. What is short term vs long term? The definition of short term and long term is open for some debate but there are some good ways to look at it statistically. 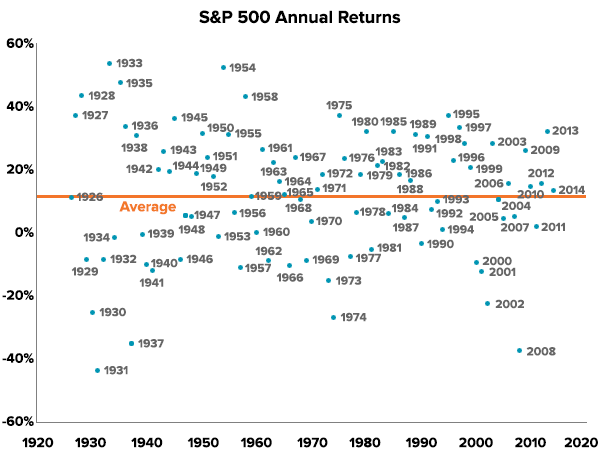 For example, if you invested in the US share market (S&P 500) for one year of the last 100, your returns were more or less random, scattered from +50% to -50%. However if you invested for 6 years, your chance of making money improved to 90% and if you invested for any 20 year stretch since 1928 you made money every single time! So to be an investor in a broad share market, you need to plan to invest for at least 6 years and be able to withstand a -40% fall which has happened 3 times in the last hundred years. If you’re investing in individual shares (which are more risky than the broad market), your time horizon needs to be even longer. If you have defensive assets like bonds and gold in your portfolio, a reasonable investment timeframe may be a bit shorter, like 3 to 5 years. Adding long-term to the word investment is therefore redundant since a short-term investor is actually a speculator (and not an investor at all!). Not all people who invest in share markets have a long term horizon. There are speculators who buy shares, ETFs, property and other assets with a short time horizon simply because prices are rising. That’s just the nature of markets – humans are programmed to chase momentum. Instead of dollar cost averaging gradually and then rebalancing to reduce risk when markets rise, speculators do the opposite. They get more confident and buy more as prices are rising, and they tend to sell in fear when prices fall. Speculative buying tends to peak around the same time as markets peak, which is one of the reasons speculators, on balance, lose money. The recent inflows into global shares is showing signs of high speculative activity. Last week investors poured US$33.2 billion into share market via ETFs (US$21 billion) and active funds (US$12.2 billion). That’s a record for both types of share market fund and accounts for 12% of the total inflows of 2017 in a single week. That’s a huge amount of buying! Has everyone suddenly decided that now is the right time to start investing for the next 20 years? Unlikely when you consider that most of the money has gone into the areas of the market that have already performed exceptionally well. 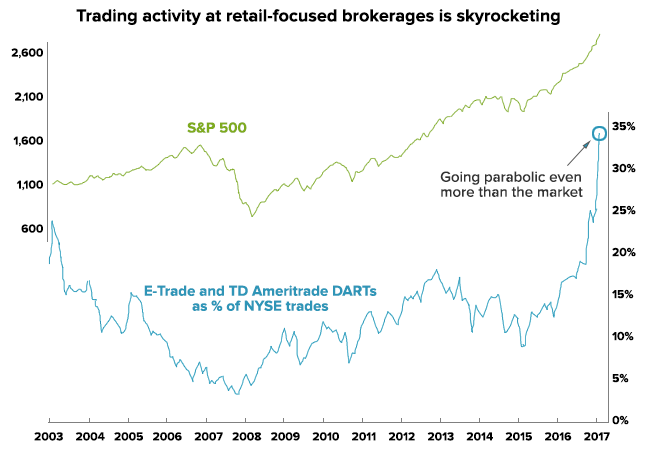 Speculators are chasing returns. Where did last weeks record inflows go? For those investing for the long term, pockets of short-term speculative activity shouldn’t matter to you at all. In fact, speculative activity can create great opportunities to rebalance your portfolio by selling some of what’s gone up and buying other investments that haven’t. Every day we look for such rebalancing opportunities for our clients. However if you think you’re investing when you’re actually speculating, that’s when things can get nasty. We recently wrote about Amazon, whose shares fell from $110 to $5 when the tech bubble burst and wiped out most speculators along the way. Only long-term investors survived. If you want to speculate with part of your portfolio, that’s fine but keep it small (less than 10%) and separate from your investments. And don’t forget that just because it’s typically an ‘investment’ asset like an ETF or property doesn’t mean you’re not speculating. It’s possible to be a speculator in perceived ‘safe’ investments just as it’s possible to be an investor in a volatile share or even bitcoin. It’s not about what you’ve bought but why you’ve bought it that matters! 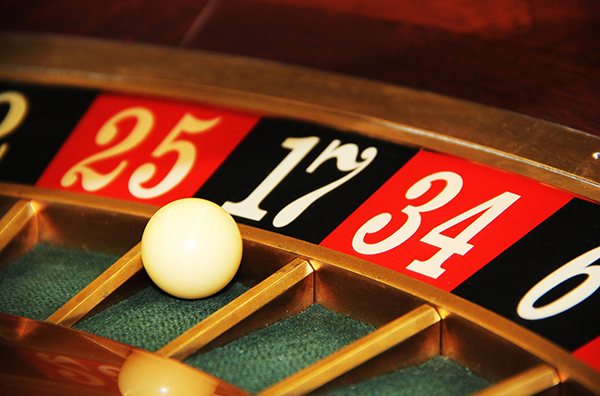 Here’s a simple checklist to determine if you’re a speculator or an investor.